vCenter Multi-Hypervisor Manager connection fails with "A problem occurred while connecting to the vCenter Multi-Hypervisor Manager service. The server fault 'NoPermission' had no message." If you want other accounts to have access to the MHM plug-in, you must specify them under the Permissions tab – bit strange that VMware didn’t add Domain Admins by default but hey! 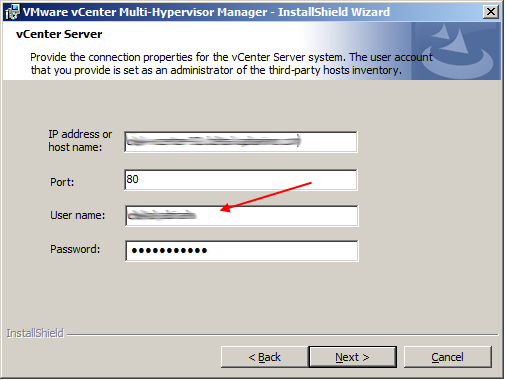 Important thing to note is that permissions assigned at the vCenter level do not propagate to vCenter Multi-Hypervisor Manager section of the client so you have to assign them separately.